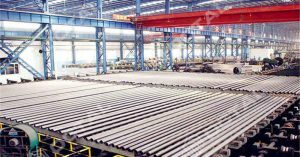 As we know steel pipe and steel plate mechanical performances depends on two aspects: One is the heat treatment type; Another one also the most important factor is the chemical elements effect to these steel material. Common chemical elements in steel is C, Mn, S, P, Si, V, Al, Cr, Mo, Ni, B. Considering on different type elements added and percentage properties, steel pipe and steel plate will shows different properties. Such as for sour service pipe, Nace material pipe and fittings, it has a strict control with C, CEq, P, S, elements content. Especially for Sulfur (S) content maximum at 0.002 for sour service pipe, but normal pipes S content maximum 0.015. This is a big difference. The reason that why we need to control S to very less percentage, is S can push HIC happens; More S elements content and it will be more easy to generate HIC, Sulfer is an extremely harmful element. What is Carbon (C) effect to steel material? Carbon is the most important elements found in steel material. Steel material mechanical strength is directly connected with carbon content. When the carbon element content increased, yield point and tensile strength increased, but the plasticity and impact reduced. In case carbon content more than 0.23%, steel welding performance will get worse. So in the low alloy steel structural, to get better welding performances, the carbon content usually less than 0.2%. Meanwhile, high carbon content also reduces the air corrosion resistance of steel, and the high carbon steel in the open field is easy to rush. In addition, carbon will increase the cold brittleness and aging sensitivity of steel. Effect of phosphorus on steel made various effects in steel pipe and steel plate, in case on different concentrations. Generally speaking, phosphorus is a harmful element in steel, it will increases the cold brittleness. It makes welding, pending performances get worse, and reduce the plasticity. Therefore, the content of phosphorus in steel material is usually less than 0.045%, in high-quality steel material grade it is lower. In higher steel grade, P content is 0.03 to 0.05, if P exceed 0.10 in low alloy high strength steels, it will increase the strength as well as improve the corrosive resistant performances. But the bad part is even the strength increased through P, it becomes brittle, ductility and toughness will reduce. Effect of Sulfur in steel. As we know, sulfur is a harmful element. It increase hot brittleness, reduce the ductility and toughness, cause cracks in forging and rolling. Secondly, Sulfur is bad for welding performance, reduce the corrosion resistance. So it usually requires the sulfur content is less than 0.055%. For the high-quality of steel, it requires S should be less than 0.04%. By adding 0.08-0.2% sulfur could improve cutting performance, which often called easy cutting steel. So even S is a harmful element, if content less than 0.05%, it would be accept in general applications. The effect of silicon (Si) in steel. Si is used as a reducing agent and deoxidizer in steel making process, and usually contains 0.15-0.30% silicon in the sedative steel. Silicon can improve the elastic limit of steel, yield point and tensile strength. So it has been widely used for spring steel. In the quenched and tempered structural steel by adding 1.0-1.2% silicon, the strength will increased by 15-20%. Silicon combines with molybdenum, tungsten, chromium and other composition, improve the corrosion resistance and anti-oxidation. So this combination of steel fit for producing the electrical heat-resistant steel. But if increase silicon content the welding performance will reduce. Effect of manganese (Mn) on steel. In the steel making process, manganese is a good deoxidizer and desulfurization agent, the general steel containing 0.3-0.35% manganese. When adding more than 0.7% manganese in carbon steel it called manganese steel. Which not only have enough toughness, but also higher strength and hardness. Manganese can improve the quenching and thermal processing performance of steel, such as 16 Mn alloy steel yield point is 40% more than A3 steel. In addition, the steel which contains 11-14% manganese have high wear resistance, for the excavator bucket, ball mill liner. With manganese content increasing, corrosion resistance and welding performance reduces. For example for API STANDARD 650, it requires ASTM A36 carbon (as rolled semi-killed or fully-killed) steel plate of all thickness shall have manganese content of 0.80% – 1.20% by heat analysis. Above chemical elements are included in all of the general steel material. 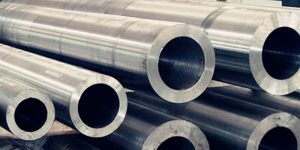 On the other hand, Alloy steel pipe and plate chemical elements not only contains the normal chemicals like C (carbon), Si (silicon), Mn (manganese), P (phosphorus), S. But also with other alloy elements like Cr (chromium), Ni (nickel), Mo (molybdenum), tungsten, V (vanadium), Ti (titanium), Nb (niobium), Zr (zirconium), Co (cobalt), Al (aluminum), Co (copper), B (boron), rare earth and so on. Alloy steel pipe includes many types, commonly divided into low alloy, alloy and high alloy steel pipe, considering on how many types and percentages of the alloy chemical elements. Effects of chemical elements in alloy steel pipe material. 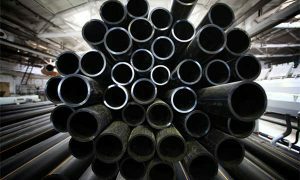 Effect of chromium (Cr) in steel pipe can improve strength, hardness, corrosive, wear resistance significantly. It is an important alloy element of stainless steel and heat-resistant steel pipe and plate. On the other side, it will reduce the plasticity and toughness. 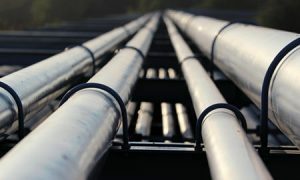 Effect of Nickel (Ni) in steel pipe can improve strength meanwhile maintaining good plasticity and toughness. It has a high corrosion resistance to acid and alkali, anti-rust and heat resistant. But for it is a scarce resource, we should try to use other alloy elements instead of nickel-chromium steel. Effect of molybdenum (Mo) can make steel grain refinement, improve the harden and thermal ability. It can maintain sufficient strength and creep resistance (deformation occurs under long-term stress at high temperatures calls creep). Adding molybdenum in structural steel can improve mechanical properties. In additional it can inhibit brittleness caused by quenching. Effect of titanium (Ti) chemical elements in alloy steel pipe. It is a strong deoxidizer in steel. It can make the internal structure dense, fine grain strength; reduce aging sensitivity and cold brittleness. Moreover, it can improve welding performance. In the chrome 18 nickel 9 austenitic stainless steel, by adding the appropriate titanium could avoid internal grain corrosion. Effect of vanadium (V) chemical elements in alloy steel pipe. It is an excellent deoxidizer for steel. Adding 0.5% V to the steel pipe material can refine the grain and improve the strength and toughness. Carbide forming by vanadium and carbon, in high temperature and high pressure can improve the ability of hydrogen corrosion resistance. Effect of chemical elements tungsten in steel. As tungsten melting point is highest in metal discovered, the proportion is large, it is a kind of precious alloy elements. Tungsten with C together could form tungsten carbide which has a high hardness and wear resistance. By adding tungsten in tool steel will improve the red hardness and thermal strength significantly. This type of material could be used to cut steel and forging mold. Effect of Nb (niobium) can refine the grain and reduce the steel overheating sensitivity and tempering brittleness, improve strength, but the plasticity and toughness will decrease. Adding niobium to the ordinary low-alloy steel, can improve the anti-atmospheric corrosion and high temperature hydrogen, nitrogen, ammonia corrosion. Furthermore, niobium improves welding performance. By adding niobium to austenitic stainless steel can prevents internal grain corrosion. Cobalt is a rare precious metal, used for special steel and alloys, such as hot steel and magnetic materials. Effect of Cu chemical elements in alloy steel pipe. Copper can improve strength and toughness, especially anti-atmospheric corrosion performance. 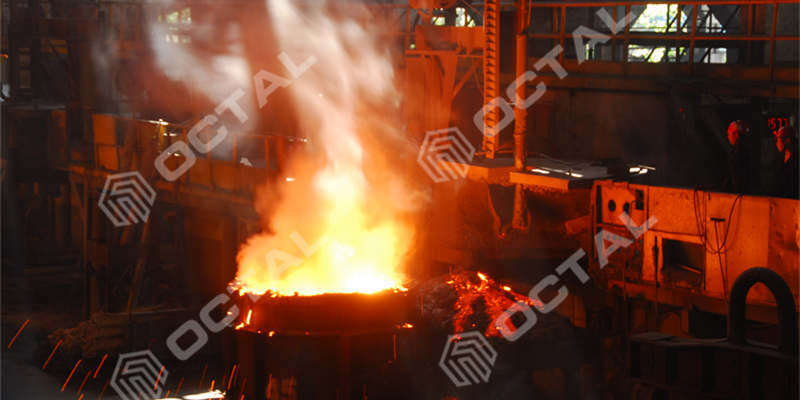 The disadvantage is that in the hot processing is easy to produce hot brittle, more than 0.5% copper content will lead to plasticity reduces significantly. When the copper content is less than 0.50% has no effect on the welding performance. Effect of chemical elements Al (aluminum) is an usual deoxidizer in steel. By adding a little amount of aluminum can refine grain, improve the impact toughness, such as 08Al steel. Aluminum also have anti-oxidation and corrosion resistance. Combined with chromium and silicon can improve the peeling resistance and high temperature resistance of steel. The disadvantages of aluminum is to influence the hot workability of the steel, the welding performance and the cutting performance. Steel by adding trace amounts of boron can improve the steel’s compactness and hot-rolled properties, improve strength. These elements are metals, but their oxides are like “soil”, so usually known as rare earth. The addition of rare earth to the steel can change the composition, morphology, distribution and properties of the inclusions in the steel, thereby improving the various properties of the steel, such as toughness, welding performance, and cold processing performance.